Agency of Global Police. Building global communities requires a mean to enforce global law that protects all life on Earth. It's time to do more to end the war in Iraq and in Afghanistan. Join the hunger strike to bring troops home. 2. Aim at improving farm income, not magic growth figures, by ASHOK B SHARMA The Indian Express Online Media (Pvt) Ltd.
7. Righting Injustice and Recognizing the Human Family. Vote Peace and to Establish War Crimes Truth Commission, by Glen Barry, Ecological Internet, Inc. specializes in the use of the Internet to achieve environmental conservation outcomes. 5. Righting Injustice and Recognizing the Human Family. Vote Peace and to Establish War Crimes Truth Commission, by Glen Barry, Ecological Internet, Inc. specializes in the use of the Internet to achieve environmental conservation outcomes. 10. Is humanity as we know it today on Earth our final destination? 4. Righting Injustice and Recognizing the Human Family. Vote Peace and to Establish War Crimes Truth Commission, by Glen Barry, Ecological Internet, Inc. specializes in the use of the Internet to achieve environmental conservation outcomes. 4. REGIME CHANGE IN THE USA, by Hazel Henderson, Celebrating cultural and biodiversity -- and a new "earth ethics" beyond "economism." 3. REGIME CHANGE IN THE USA, by Hazel Henderson, Celebrating cultural and biodiversity -- and a new "earth ethics" beyond "economism." 1. Aim at improving farm income, not magic growth figures, by ASHOK B SHARMA The Indian Express Online Media (Pvt) Ltd.
2. REGIME CHANGE IN THE USA, by Hazel Henderson, Celebrating cultural and biodiversity -- and a new "earth ethics" beyond "economism." 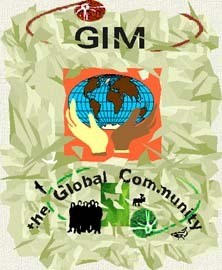 The Global Constitution is for all Peoples on Earth, for the Global Community and Earth Government. It is for all life. Not just to fulfill the needs of the most powerful nation. All twenty six sections may contain any of the following information: abstracts, research papers, notes, outlines, posters, articles, letters, press releases, reports, and newsletters. They may also contain discussions, global dialogues, brain-storming exercises on issues, or just email messages from interested participants and groups. 3) the provision of reusable bags for customers to potentially purchase and use in lieu of disposable ones. In addition, plastic bag manufacturers would be required to work with the grocery stores on their programs to help ensure the proper collection, transportation and recycling of the plastic bags. Local Pre-emption. As part of the legislative compromise to gain adoption of the recycling provisions of this bill, representatives of Californians Against Waste, the League of California Cities, and the author agreed to language that would pre-empt local agencies in California from adopting fees and recycling requirements on affected retailers. That was tough to swallow, especially since CAW has been an advocate of advance disposal fees at the local level to promote recycling for more than 20 years. But the reality of that experience is that no one has ever been successful in getting a single local government to adopt a fee or recycling mandate of plastic grocery bags. Despite a rigurous effort in 2004 and 2005, even elected officials in San Francisco were unwilling to take on retailers with a bag recycling fee. California Governor, Arnold Schwarzenegger, has signed the Global Warming Solutions Act of 2006, a measure that aims to reduce California's man-made greenhouse gas emissions to 1990 levels by the year 2020. The historic measure is the first of its kind to impose mandatory caps on man-made greenhouse gas emissions in the U.S. and would require California to curb its global warming emissions by 25% from today's levels. Details regarding the Act's implementation still need to be worked out. Opponents of the bill argued that California companies will move states to avoid this regulation and that the reduction in greenhouse gas emissions will not make a difference if other states don't follow suit. British Prime Minister, Tony Blair and New York Governor, George Pataki meanwhile expressed strong praise for California's action. California the most populous state in the U.S. and one of the largest economies in the world is also the world's 12th largest greenhouse gas polluter. The Bush administration upon taking office expressed strong skepticism that that the globe was warming; since then it has modified this stance but continues to remain skeptical that CO2 emissions and global warming are linked. The administration failed to sign the Kyoto Protocol that would have capped national global warming emissions sighting concerns that the treaty would be a burden on the U.S. economy. Meanwhile, the Kyoto Protocol has been adopted by over 160 other nations. We're coping with Arnold Schwarzenegger's outlawing California cities' rights to place fees on plastic bags. The Global Community has been part of the movement to eliminate the petroleum plastic bags which are handed out at supermarket checkout counters. Meanwhile the evidence mounts on what this plastic trash has done to our oceans and our bodies. Is it any wonder that breast cancer has gone up 80% since the less-plasticized 1970s? Cosmic forelaws seated within the genome of all intelligent life, expressing intelligent life principles of empathy and compassion, engender and shape life-centered cosmologies on all planets with intelligent life. Grounded on human predisposition to creative cooperation, a democratically planned global economy is integral to all life-centered cosmologies whether they be scientific, philosophical or religious. Economic, social and environmental needs and expectations in the twenty-first century - the specter of "Peak Oil" and trade wars triggered by competitive free trade and national job protectionism - the thirty year period projected for equalizing labor costs between underdeveloped national economies and those of the more developed national economies - and the basics of evolutionary panaltruism, among others, cry out for remedy at the earliest possible time. A democratically planned global economy, implemented through the United Nations with built-in mechanisms for optimum input and oversight guaranteed to all member-states, promises the world community a practicable starting point for achieving a compassionate order on Earth. United Nations leaders are urged to take note of the Global Constitution advanced by Germain Defour (Project Director, Global Dialogue), and of scientific research validating the biological basis for human cooperation (Emory University). When I put something on my skin, I want to know it's safe and won't cause harm to me or the environment. Unfortunately, the Food and Drug Administration hasn't bothered to adequately test a new class of ingredients, called nanoparticles, in our personal care products. Please tell FDA to keep dangerous ingredients out of personal care products. * Death to kidney cells when exposed to nanoparticles. The FDA has asked the public for comments on how to regulate nanoparticles. Tell the FDA to stop ignoring the new health and environmental dangers posed by nanoparticles. In already named work: « The humanist challenge of an ordinary citizen (for dialogue between civilizations) » I enunciated various proposals for a reform of the United Nations. The charter of the United Nations starts with these words: « We the people … « and however, today even, the Institution appears to have moved well away from knowledge that the citizens have of her. In actual facts, it became an Institution of representation of States (governments) in spite of the participation of associations, NGOs, in its general meeting. The organization is nowadays mostly that of Nations which defend their national interests. However, this critical introduction alters not at all the necessity of its existence in the first place, nor the merit of what was undertaken, or the efforts of its leaders to achieve worldwide peace. Kofi ANNAN homself, actual general secretary of the Institution, set up a study group of experts which gave him their proposals. Welcome to the monthly Friends of the Earth eNewsletter. This month’s theme is global warming. In the last few weeks, Bush made headlines with a pledge to spend billions on global warming research, California sued the "Big Six" automakers for contributing to global warming, and Bush lobbied Congress to pass an agreement that threatens the Amazon and could accelerate global warming. We need your help to push back against Bush’s plans and thank the California Attorney General for pressing this landmark suit against automakers. Send an eCard to a Friend on Global Warming Here is a simple way to be a friend of the earth – invite your friends to take action on global warming. Everyone is starting to feel the impacts of global warming and we all need to play a role in fixing this problem. So, spread the word by sending them the polar bears postcard! California Sues “Big Six” Auto Companies on Global Warming California’s Attorney General Bill Lockyer filed a landmark suit against major automobile companies for their contribution to global warming. Automobiles are one of the largest contributors to global warming emissions. The suit charges the “Big Six,” including General Motors, Toyota, Ford, Honda, Chrysler and Nissan, for the public health and environmental impacts that global warming will have on California. Please thank Attorney General Bill Lockyer for challenging big business on global warming. Bush Plan Threatens Amazon Rainforest The Bush administration is pushing Congress to approve a free trade agreement with Peru that could accelerate global warming and threaten countless species in the Amazon rainforest. The trade deal will allow illegal logging and destruction of the forest ecosystem to continue. The Amazon has over 25,000 plant species, 2,000 fish species, 1,736 bird species and 460 mammal species, many of which exist solely in the Peruvian Amazon. Also, the rainforest absorbs carbon – a global warming pollutant. Tell Congress to protect the Amazon. Thank you for taking the time to act on these important issues. This is a list of states with nuclear weapons. There are currently eight states that have successfully detonated nuclear weapons. Five are considered to be "nuclear weapons states", an internationally recognized status conferred by the Nuclear Non-Proliferation Treaty (NPT). In order of acquisition of nuclear weapons these are: the United States of America, Russia (formerly the Soviet Union), the United Kingdom, France and the People's Republic of China. Since the formulation of the NPT, three non-signatory states of the NPT have conducted nuclear tests: India, Pakistan, and North Korea. Additionally, Israel is also strongly suspected to have an arsenal of nuclear weapons though it has refused to confirm or deny this, and there have been reports that over 200 nuclear weapons might be in its inventory. They were given to Israel by the United States. Israel was considered the Trojan Horse of the USA for the invasion of the Middle East and surrounding nations, including North Korea and China. Back in 1947, the creation of the State of Israel was a strategic military move by the USA military aiming at the invasion of the Middle East and securing for themselves the oil and gas reserves in the region. None of these four countries is currently a signatory to the Nuclear Non-Proliferation Treaty. Iran has been developing uranium enrichment technology and stands accused by the United Nations of doing so for weapons purposes. Iran insists that its intentions are limited to domestic nuclear power generation. As of February 4, 2006, the International Atomic Energy Agency referred Iran to the United Nations Security Council in response to concerns on their possible nuclear programs. Remember the now famous 'axe of evil' expression?! The world knew America was invading the Middle East. Why has the UN not enforced hard sanctions against the USA for its bullying tactics at the UN to get what it wants? Proper UN leadership could have avoided the situation we have today. The UN did nothing at a critical time and just watched things happening. The UN is the organization where bullying takes place by those with nuclear war heads. The world is threatened by nuclear war heads. The five permanent members of the UN are allowed to bully any other nations. They are holding the world hostage with the threat of their nuclear war heads. They are all terrorist governments. There are Global Community Arrest Warrants against all five permanent members leaders. They are terrorists, dangerous criminals, and must be stopped. We will disarm you, like or not! Life on Earth has no need of all you with nuclear war heads and other WMDs. If you refuse to disarm it will be because you are very much like those others you accuse of being terrorists: you are the worst terrorists on the planet. The USA is invading the world, and the UN can do nothing to stop them. The USA was allowed to invade other nations, change their governments, and has often made lies in speeches to the UN, to the world. Remember what the US representatives told the world at the UN prior to the invasion of Iraq? Lies! All lies! And the leadership of the UN never did anything to reprimand the US representatives and implement hard sanctions for the invasion of Iraq. Ever since its creation in 1947, the USA have given Israel enough WMDs, including nuclear war heads, to destroy the entire Middle East region and no sanctions were ever enforced against Israel and the USA. Where was the UN leadership? What has the UN done to stop the invasion? Nothing! The UN has never done anything to help humanity. And that is a crime against humanity. There is now a Global Community Arrest Warrant against Kofi Annan, United Nations Secretary-General. Many reasons! He is a criminal because he had the power and was able to show leadership as per the Charter of the UN but never did anything to follow those principles in the Charter he was supposed to be standing for. To do nothing is a crime against humanity and all life on Earth. It is pure disgrace that we now have the UN organization allowing the USA break the friendship between North Korea and China. The USA invaded the Middle East in a similar way: breaking frienships between the different communities of the Middle East, creating hate between communities. The USA is responsible and accountable for the civil war in Iraq. The GCEG Agency of Global Police has made mandatory that all nations let inspectors verify proper dismantle of weapons facilities. We might as well shelved the war industry from humanity right now and that means phasing out all nuclear, biological, chemical weapons right now. No waiting! And again that also means having inspectors verifying the phasing out in all nations of the world, and not just in some Middle East country and North Korea. The United States have armed Israel with weapons of mass destruction and now dont want North Korea and Iran to have them. They allow themselves to supply their friends (Israel and others) to have them but wont want North Korea and the Middle East nations to have them. Why?! What is really going here?! Let us examine the reasons why the United States refuse North Korea and other Middle East nations to have nuclear weapons. We have already shown that Israel no longer qualifies to represent a global community. It cannot be called a nation either. A nation is defined primiraly by its people, its communities, and it has a properly established government. Israel is run by a military leader who, at the moment, is Major General Dan Halutz. Ever since its creation by the United Nations in 1947, Israel has been at war for the gradual invasion of the Middle East by the United States. It has been given continuous amounts of money, arms, war products and equipment, war planes, weapons of mass destruction, and has used them. Therefore, Israel is a military organization and has nothing to do with a People forming a government and a nation, much less a democracy, and even less a global community. f) Israel's June 1982 invasion of Lebanon. g) In 2001, the Jews of Israel declared war against the Palestinian refugees and has been at war ever since. h) July 2006, Israel-Lebanon war. These wars are statements of guilt on the part of Israel being the 'US-milpost', that is the military post of the USA, and of the leadership of Israel being of military type, and that in fact, Israel is the Trojan Horse of the US for the invasion of the Middle East and neighboring nations, including China. After each war America became gradually committed to the security and well-being of Israel. America maintained Israel's superiority over Muslims through regular infusions of money and arms, war products, war equipment, war planes, war ships, and weapons of mass destruction including nuclear It is believed that America has supplied Israel with 75-200 active nuclear war heads and other types of WMDs. During the Cold War America had a strategic interest in containing Soviet influence and its expansion in the Middle East. The money and arms given to Israel was used to fend off challenges to American interests from radical, Islamic, and Soviet-backed forces. The American support of Israel was criticized by the Arab Middle East and the Islamic world and has fed the radical Islamic fundamentalist movements. Another strategic interest of the United States was the need to preserve access to two-thirds of the world's known petroleum reserves. The Jewish People sold their Souls to the devil by accepting money, arms, war products and equipment, war planes, and weapons of mass destruction from the United States. From a religious perspective, God gave the Jewish People the land they called Israel. God gave them the land with the understanding they could live as 'a global community' and be accountable to life, all life on Earth. The Jewish people have failed. The land no longer belongs to them. God gave it and now God takes it back! The Soul of Humanity will see that Justice is done for all harms done. Now Palestinians are giving back all of their land and the Jewsih People will have to move out. In the past, the Global Government of North America (GGNA) has given its support to Israel by accepting the State of Israel as a member nation of the GGNA. But now this is no longer the case. Israel is no longer a nation and had to be dropped from the group of nations forming the GGNA. GCEG Global Parliament has categorically rejected Israel. A while back the Global Community offered to the Jewsih People to re-settle in Canada's North but again this is no longer possible. The Jewsih People would have to be re-educated to live as a global community, and that would be an impossible task. Not even America would want the people of Israel to re-settle in America. The person who makes the decisions in Israel now is Major General Dan Halutz, not the government. Major General Dan Halutz is a person lacking moral inhibitions. He is a professional soldier. From a moral point of view there is no difference between the "rightist" Halutz and his predecessor, the "leftist" Ya'alon. They are both responsible for the brutal policy against the Palestinians. The fact that Ya'alon suddenly comes off as a moral knight in shining armor and the hero of the left is outrageous. During his tenure, the Israel Defense Forces (IDF) policy toward the Palestinians was crueler than in the past. And surprise, surprise - the moment he was dismissed by the defense minister, the senior partner to this policy, the heads of the kibbutz movement, those bastions of morality, came out to protest the dismissal. The man that was responsible for dozens of targeted killings, for the destruction of hundreds of houses and the imprisonment of an entire public, is described as a man who embodies a moral Israel and an integrity that is now disappearing before our very eyes. Halutz's appointment will therefore help rip away the remnants of the mask of morality that the IDF wears. When the man at the top of the pyramid is one who formulates his moral principles in a callous and hard fashion, it will be very difficult for the IDF to continue holding seminars on human rights, human dignity and freedom and purity of arms, or to commission an ethical code from a philosopher. For having declared war against Lebanon, there is now a Global Community Arrest Warrant against Major General Dan Halutz. Americans say they needed to create the State of Israel because they needed someone in the Middle East to stand for the USA. Why? Obviously to protect the supply of oil and gas shipments to the USA. It was also a military strategy. In exchange for defending the US interests in the Middle East, the US would help Israel with a continuous supply of money and with all the arms in the world, including nuclear. Plenty of money to make by selling arms to the Middle East nations. By taking over the Middle East economically and militarily, Americans would have a strong base to send Russia and China to kingdom come with nuclear war heads. So Israel was their Trojan Horse for the economic and military invasion of the Middle East and eventually the world. It seems to have worked out that way, so far. Today Israel is somewhat obsolete because Americans are in Iraq and will stay in Iraq for as long as there is money to make selling arms and oil and gas to have. But they said they were there to build a democracy. Well! Ya! That too! Have I missed something?! Gees! No, the idea of building democracy in the Middle East is for the good souls back home in America, you know those people back home who don't have a clue about what is going on, or pretend that they dont. Americans are in the Middle East for the long haul. The war industry in America needs to be in the Middle East, that is where the money is. Yep! It was always about money and power. The war industry in America gives jobs to about one third of the American population. So it is a matter of survival. And, by the way, you work for the war industry in any way at all, even voting for a White House foreign policy maker promoting war as a soltion to a problem, you are a soldier, just the same as the soldier pulling the trigger in the Middle East. So if war comes to America, you are not a 'civilian' but a soldier. In our estimate, that includes no less than one-third of the American population. During the Cold War with the Soviet Union, the United States, Great Britain, France, Russia, Germany, and Israel were the countries that sold arms, war products, war equipment, war planes, war ships, and weapons of mass destruction to the people of the Middle East and to Afghanistan. They have shown no ethical and moral values in the activities of their trade. They have made trade a despicable act of dealing with one another between human beings and between nations. No laws! No regulations! No ethics! No moral responsibility and accountability! Everyone has the "freedom" of destroying the global life-support systems! Everyone has the "freedom" of human rights abuses! Now pollution, diseases, terrorism, poverty, social and economic injustice have no boundaries. Now, being in Iraq, Americans will have the opportunity to invade China. Invade China...!! Who said that?! Now, now! I did not say bombing China with thousand of nuclear war heads. That would be stupid! No, it will not happen that way. What have I said, money. Ya! Americans will get the Chinese people to work for them. Let the cow gives all its milk. How is that possible?? Very simple! And Americans have got very good at that. Get them to buy arms and make sure they kill each others in the process. Americans have mastered the arts of war from way back when. They have already made trillions of dollars in the Middle East. Everyone has been buying their arms. So China is the biggies. Lots of money to make. First, they will allow China to get their oil and gas from Iran. The chinese economy will be good because they have energy and the base products, oil and gas, from which they can make plastics. And with plastics they can manufacture all kinds of toys such as computers and parts for cars. Thousands of different products make use of plastics. Now the American Congress has passed legislation to allow rich, powerful, American corporations to invest in China. Why?! Because of cheap labour! No environmental costs! Many reasons. The facts are that China now is working for American corporations. Now this is when the American war industry gets into the picture. They have to sell arms to the Chinese people. And how are they going to do that?! The war industry have had plenty of learning in the Middle East. They will make sure that a Chinese province or community is at war against another Chinese community. Somewhat like today with North Korea and China there is a strong move by the USA to separate these two allies. You know, there has to be a reason why people hate each other. So creating hate between the Chinese people will be a priority. Create a chaos! Remember the Iran-Iraq war... So easy! So well masterminded! If they hate one another then they will want to kill each other. This is when the American (and British) war industry sell their arms. So in effect, they all work for America. Yep! Cheap labour! And they all can go to kingdom come! And then America will bring up the flags of fighting for the establishment of democracy, freedoms, and 'whatnots'. Americans back home will love it! It is so pathetic that one would want to cry. People used to look up to America. But now Americans are just killers, criminals, invaders, predators, and arms dealers. It is not just about survival. It is about a civilization gone so bad that its people would do anything for money. In conclusion, the eventual invasion of China is the reason why the United States dont want North Korea and other Middle East nations to have nuclea weapons. What else could it be? Americans are all over the Middle East creating hate between the different communities, invading, stealing oil and gas reserves, and spreading the false belief that democracy is the best political system. Democracy got us to where we are today: the worst polluters on the planet and threatening the existence of all life. Our consumer driver political system is wrong. Our ways of life are wrong! We know it, and we still try to impose them to other Peoples. America would like the Peoples of North Korea, China and of the Middle East nations to be like us consumers, the worst polluters and on a planetary destructive path. In this way, Americans back home would not be feeling so guilty of being so bad. They would rather let others take the blame for their failure as a society. Have you ever flown over North Korea at night? Almost no light above cities! Why? No electricity! That makes them environmentally friendly and non-polluters. What about plastics!? To have no electricity implies no consumer products made of plastics. No fridges! No freezers, which also means that they do not destroy the Ozone layer around the planet, a global life-support system to all life. Fridges and freezers use refrigerants which eventually are released to the atmosphere and destroy the Ozone layer. We could go on listing the implications of no light at night. Yet the people of North Korea live happy lives. Well! That was until Americans got into the picture. The people of North Korea are the most environmentally friendly people on the planet and Americans are jealous of that. Americans want everyone on the planet to be just like they are in America: the worst polluters on a planetary destructive path. And guess who is next: China. Americans want the people of China to be just Americans: a consumer driven society and the worst polluters. And the invasion of China is their long term economic and military plan. If the United States can destroy North Korea, and its friendship with China, they can destroy China. North Korea is just a strategic military test to see how far and how well Americans can do invading the region without being told off. And what will be China's reaction...? If China does nothing meaningful to stop the invasion then America will continue further its progressive 'democratisation' of the world. But the United States would rather make money in the process, and that means letting rich American corporations getting richer by having the people of China working for them and so, polluting the planet even more on their behalf. The Global Community has developed and implemented the 'New Way of Doing Business'. Over its long past history trade has never evolved to require from the trading partners to become legally and morally responsible and accountable for their products from beginning to end. At the end the product becomes a waste and it needs to be properly dispose of. Now trade must be given a new impetus to be in line with the global concepts of the Global Community. You manufacture, produce, mine, farm or create a product, you become legally and morally responsible and accountable of your product from beginning to end (to the point where it actually becomes a waste; you are also responsible for the proper disposable of the waste). This product may be anything and everything from oil and gas, weapons, war products, to genetically engineered food products. All consumer products. All medicinal products! All pharmaceutical products! So when America sells technology, or anything at all, to China, America becomes responsible and accountable of its trade from beginning to end. If the technology is a car, and car manufacturing, then America is responsible and accountable of the pollution coming out of it. Nuclear war heads and other WMDs given to Israel is the same idea. America is responsible and accountable of its doing. First the economic and military invasion of the Middle East nations using Israel as a Trojan Horse, then North Korea, and finally China. The American Congress has already begun this economic and military invasion by passing legislation allowing rich corporations doing 'business' in China. The Group of Eight (G8) consists of Canada, France, Germany, Italy, Japan, Russia, the United Kingdom, and the United States. Together, these countries represent about 65% of the world economy. The hallmark of the G8 is an annual political summit meeting of the heads of government with international officials, though there are numerous subsidiary meetings and policy research. The G8 nations, the world's top economies, have failed to address the climate change brought about by greenhouse gas emissions. The U.S. has the highest greenhouse gas emission rates among the G8 and derives some two thirds of its energy from coal and oil. The Bush administration is not only failing to deal with the threat of climate change but is also actively trying to water down the G8's efforts on the issues. The G8 nations	will have completely consumed the oil and gas reserves in the world between 50 and 100 years from now. This explain why there is so much rush for those resources by countries such as America in the Middle East, and India, China and Europe in Iran. Actually they are all over the Middle East but everyone seems to have chosen a specific territory to invade or exploit: America in Iraq, the others in Iran. What we have here are all the ingredients needed for World War III. Let me invade this nation says America, and I will invade the other ones say Russia and China. They will be there until all the oil and gas reserves have been sucked up from the ground. If one of them is not happy then we will have a war. They have all agreed that Iraquis and Iranians are casualities of war. India, Russia, European Union nations, and China! They want the oil and gas of the Middle East very badly. How else could they become the biggest growing economies of the world? Without the oil and gas they have no energy and no plastic base products. That means they cannot manufacture anything. Nothing! More than half of the world population out of a job. Starving and dying! No medicinal products because you need a plastic container to hold them. Hospitals have no plastic tubes to feed you with whatever fluids your body needs. All civilizations on the planet would come to a halt without the oil and gas. Yet it is the oil and gas that is creating global warming and forcing the climate to change around the globe. This of course shows that our own civilization is base on oil and gas, and on the base products we can get from the oil and gas, manly plastics. Our civilization is, therefore, not based on principles and values as it would fall completely without oil and gas. The end of the oil and gas reserves and, therefore, of plastics, will be the end of our 'civilized-self'. The current wars against the Palestinians, Afghanistan and Iraq were undertaken in disregard of the most fundamental principles of Global Law and with obvious contempt for truth, posterity, and the morality which should guide all human actions. The result has been the occupation and colonization of Iraq and the destruction of its economy and increased violence and insecurity for the overwhelming majority of the Iraqi population. The world cannot sit by passively and watch the continued deterioration of the future of our planet and of its global communities. President Bush has been elected for a second term as President of the worst polluters on the planet, and of a predator nation. During his campaign he has used religion, his religion, and its membership or supporters, to elect him. Ever since 9/11 the Global Community has fought his policies at home and abroad, and how his daily lies have changed the American people to follow his lead. The use of the military has been abused to the detriment of human and Earth rights. c) setting up a criteria for managing the region, a criteria agreed upon everyone concerned. In December 2005 there were 22 ECO Award recipients. And this year we are expecting several recipients of the Award. The year 2006 recipients list will be published in January 2007.
" INSTITUTIONAL ECONOMICS OF CO – OPERATION AND THE POLITICAL ECONOMY OF TRUST "
has been accepted to be presented at the Global Dialogue from now and throughout the year of 2007. A) If you wish to verify that the info was added with the other participants then search for your last name in the Participants List. Confirm that your info was added properly on the list. B) Your File may contain any of the following information: abstracts, research papers, notes, outlines, posters, articles, letters, press releases, reports, and newsletters.It may also contain discussions, global dialogues, brain-storming exercises on issues, comments and recommendations, Vision of Earth in Year 2024, or just email messages from interested participants and groups. C) Verify your papers were properly uploaded. D) Verify that the webpage of the Global Environment Ministry was properly updated. Your new Paper will be promoted in November Newsletter. Is there a realistic chance for world peace? Is there a foreseeable future on Earth free of murder and war? Will the rivers flow in their natural beds again; will animals be freed from their cages for ever; and will all the children of this world have enough to eat and a sense of belonging? In the face of the violence which is daily inflicted on this planet upon human beings, animals and nature these questions seem absurd, naïve almost beyond human reason. Nevertheless, they are the crucial questions of our time and from the answers we find to them our future and the further evolution of life on Earth depends. 2. New ethics for all those who wish to participate in the realization of this peace plan. 3. A new social basis for the reconciliation and the love between the sexes. We leave behind the material era and enter the era of energy, frequency, and information. Energy and information creates the material world. The Earth with her magnetic field, her waters, landscapes and creatures is a homogeneously vibrating body in the frequency field of the Universe. This body can be healed just as a human body can be healed if administered with the appropriate medicament, i.e. the appropriate information. The healing information sets in where the wars are created afresh every day, in the cohabitation of human beings. At this point far reaching change is needed. The wanted peace information addresses the essential realms of our life: community, partnership, love, sexuality, and is not to be found sitting behind a desk, rather through concrete life praxis which is to be developed at special research centres (Healing Biotopes or "Peace Research villages. Tamera, located in Southern Portugal, is the first of such centres having been developed during the past twelve years. The so called "Political Theory" establishes how a few of such centres could suffice to initiate a global change. In the fall of 2006 a new book on this subject will be published: "Future without War" by Dieter Duhm. It describes the "Political Theory" in detail. Eros is an elementary force which has been regulated too restrictively in our culture – rather like a river whose natural bed has been straightened and forced into a bed of concrete. This results in "flooding" and catastrophes in the form of illness, depression and violence. A new civilisation is based on a new relationship between the sexes which is free of fear, dominance and violence. To realize this, a new social structure is needed which allows for a stable connection of Eros and trust. The basic thoughts on this subject are explained in chapter 11 of "Future without War". In Berlin on November 9th, 2006, the books "Future without War" and "Grace" will be presented to the public for the first time. The historical date of November 9th was chosen in memory of the "Reichskristallnacht" of 1938 and in memory of the fall of the Berlin wall in 1989. On the same day in 2005, a peace meditation, developed by Sabine Lichtenfels, was held in various places, amongst them at the wall in Baqqa (Israel) and in Auschwitz. This year the meditation is to take place in Berlin. Groups from all over Europe, from Columbia, India, Israel and Palestine will participate in the meditation at chosen places in their own countries by doing so form a "Ring of Power". Interested people are invited to get in touch with us. The books are written in German and available in the book trade or directly from the publishers. Both books will also become available via the home-page in English, "GRACE" at the end of 2006 and "Future without War" at the beginning of 2007. We are grateful for any support. May peace prevail on Earth. In the service of warmth for all that has skin and hide.